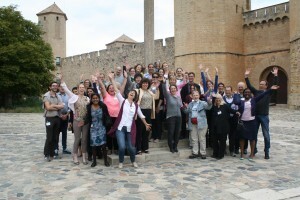 The first SRS Consensus Meeting took place from Oct 4th-6th, 2015 in the Poblet monastery, Spain. Over the course of the three-day meeting, 36 experts (geneticists, pediatric endocrinologists, and other specialists) and representatives from 5 patient-support organizations discussed a broad spectrum of topics related to the management of Silver-Russell Syndrome. Three working groups (Clinical Diagnosis, Molecular Diagnosis, and Clinical Treatment) each presented their research findings and proposed recommendations. The entire group then discussed, revised and then voted on each group’s recommendations. The resulting first-ever SRS Consensus was published in “Nature” early September 2016.